1.11. ORGANIC FOOD SALES ARE ON THE RISE, WHILE NON-ORGANIC AND GMO FOODS ARE BEING REJECTED. 1.22. MEDITATION AND MINDFULNESS PRACTICES HAVE SKYROCKETED IN WESTERN NATIONS. 1.33. OFF-GRID LIVING AND MINIMALISM ARE THE NEW TRENDS, LEAVING RAMPANT CONSUMERISM AND OVERCONSUMPTION IN THE DUST. 1.44. PEOPLE HAVE GROWN EXHAUSTED WITH THE SLAVERY OF EMPLOYMENT, AND SEEK A BETTER LIFE. 1.55. WE HAVE AN EVER-GROWING NEED TO PROTECT THIS PLANET AND CONNECT WITH EACH OTHER. 1.66. WE HAVE GROWN ABSOLUTELY SICK OF HATRED, VIOLENCE, OPPRESSION, AND WAR. On the surface, it seems the world operates in a constant state of disarray and confusion, with mass shootings, terror attacks, arguments and wars over race and religion, riots, and civil unrest happening all too often. If you look at what the news portrays to the public, you might think of the world as a scary, uncivilized, threatening place to live. However, they only tell you what they want you to hear. Much of what happens in the world goes undocumented and unreported by major news outlets, and much of these occurrences happen to be positive. You can’t just look at the world from one viewpoint and expect that this will represent all of what the planet goes through collectively. You have to see things from multiple vantage points, and while many awful atrocities happen daily, the world also is going through a massive shift in consciousness and awareness simultaneously. If you feel alone, scared, exasperated and frustrated by the world today, we have some good news for you that will hopefully give you faith and comfort in these trying times. Remember where evil exists, good does too. You can’t have one without the other. Darkness cannot exist without the light, and we want you to know that many lightworkers, givers, spiritual warriors, and true Earth angels exist on this planet who want the best for everyone here. You might feel like you are one of these people, shedding light where it is needed most and continuing to spread goodness where you can. We know it can seem frustrating, like your efforts don’t make much difference, but truthfully, we all need to stand strong and work together if we want this planet to change, so please don’t give up. The shift is happening, and people all over the world have awakened to humanity’s ultimate truth. Peace and love will always prevail, but we have to keep them alive. Many people all over have begun to speak out against the corruption and greed that exist in the current system, and no longer will stand for such injustice and inhumane behavior. It’s easy to become discouraged and frustrated by the current paradigm as we all try to escape the matrix that only seeks to drain us, but the following events point to better times ahead. 1. ORGANIC FOOD SALES ARE ON THE RISE, WHILE NON-ORGANIC AND GMO FOODS ARE BEING REJECTED. Organic food sales rose by 11% in 2014 in the U.S., with 90% of homes on the West Coast and New England buying at least some organic foods and cleaning products. Veganism and vegetarianism continue to rise as well, as people have finally realized what truly fuels the body, and what poisons it. We haven’t seen such a global interest in health as we have in recent times, as the slow food movement and interest in natural living continues to increase. People want real food and nutrients straight from the Earth. They’ve grown tired of “food-like substances” that do nothing except poison our bodies and minds, while lining the pockets of pharmaceutical companies and hospitals. People want to take health back into their own hands instead of giving away that power to others who claim to care about the well-being of people, all while continuing to serve them toxins. McDonald’s was forced to close hundreds of stores globally as food sales plummeted, and Monsanto, an agrochemical and agricultural biotechnology giant, suffered a 34% drop in earnings following many March Against Monsanto protests worldwide. People have demanded a food revolution, and many have started their own gardens right in their backyard. We all want food that nourishes us while keeping the planet in harmony, and the wholesome food movement truly points to a shift in consciousness. What we eat directly affects how we feel and think, and many have awakened to this truth. 2. MEDITATION AND MINDFULNESS PRACTICES HAVE SKYROCKETED IN WESTERN NATIONS. In the past few years, many people have adopted meditation practices for a wide variety of reasons, including to decrease anxiety, help them relax, relieve chronic pain, etc. What was once just a pseudoscientific notion that many quickly dismissed has now turned into a global movement that a host of people and institutions have joined in on, from hospitals to students to businessmen. People from all over the world have begun to understand that meditation offers much more than a chance to relax and unwind from work; it also directly connects them to Source energy and gets them back in touch with their true selves. Mindfulness exercises have been introduced to businesspeople, college students, hospital patients, and everyone in between. 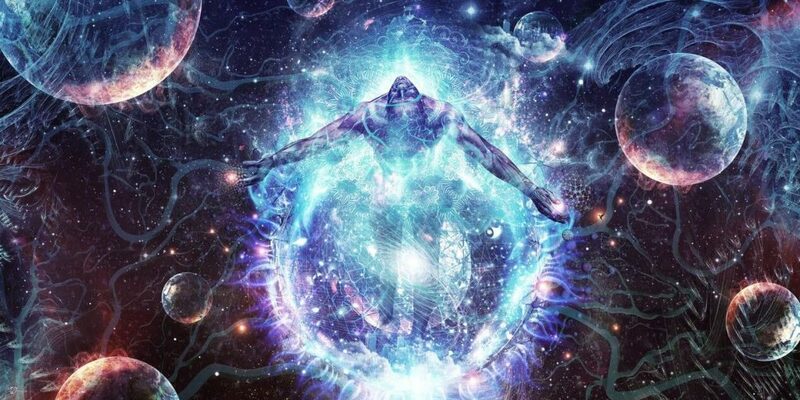 With this expansion of consciousness happening globally, this lends even more credibility to the belief that our world is experiencing healing and rebirth on a massive scale. 3. OFF-GRID LIVING AND MINIMALISM ARE THE NEW TRENDS, LEAVING RAMPANT CONSUMERISM AND OVERCONSUMPTION IN THE DUST. The “tiny house movement” is also growing, and now there’s even a show about it called “Tiny House Nation!” If you do a simple search on YouTube or Netflix, you will find hundreds of people who finally called it quits on their old lifestyle of paying high energy bills and living in clutter and adopted a more minimalist approach to living instead. Aside from those going off-the-grid completely, self-sufficiency in at least some aspects of living is quickly gaining popularity. According to Becoming Minimalist, vegetable seed sales are up 30% from 2008. More people want to live simply without dependency on industry; also, many have realized that big monetary savings come with the choice to live more sustainably. Not to mention, people have begun to discard old items in droves, as they want to live a life free of material items that do nothing but clutter their space and drain their energy, not to mention their bank account. Rampant consumerism continues to fall in favor of a life filled with true meaning, and not meaningless stuff. 4. PEOPLE HAVE GROWN EXHAUSTED WITH THE SLAVERY OF EMPLOYMENT, AND SEEK A BETTER LIFE. 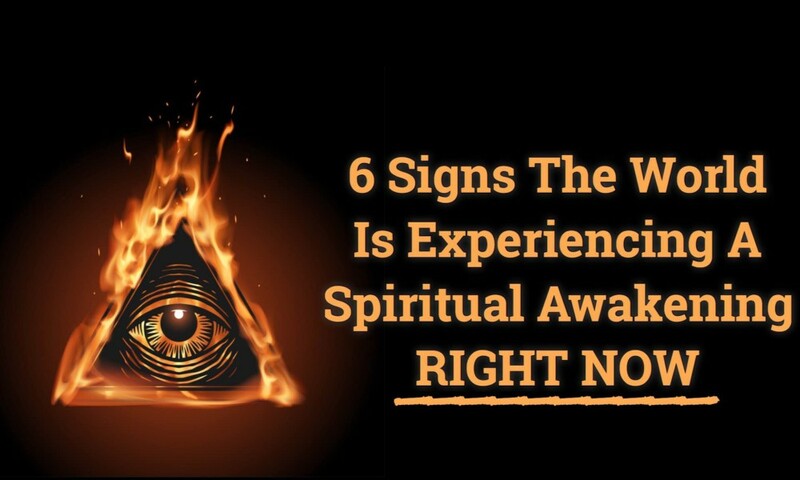 As part of this shift in consciousness and betterment of the planet, more people have awakened to the idea that they incarnated here to do more than just sit in an office 40+ hours per week filing papers. They have realized that sacrificing 50+ years of their life to sit in a cubicle just doesn’t make sense and doesn’t bring anyone happiness except the people at the top. They want more, seek more, and realize they deserve more than throwing their life away so someone else can get richer. Many have pondered how exactly they could escape their monotonous, unfulfilling jobs in order to really experience this life for all it’s worth, and it seems that more and more people have opted to take the path less traveled. For example, you can find hundreds of inspiring stories like this one about those who have given up their corporate jobs in lieu of traveling or following other passions. You might think this carefree attitude shows a lack of accountability about the economy, but it actually represents responsibility to something much more ever-lasting and important: true happiness that can only be found by following one’s heart, no matter what society might say about it. People all over the world continue to experience burnout and constant stress from bills, unfulfilling jobs and other responsibilities that only seem to serve the few while denying the many happiness. We all have to continue to stand up to this monotonous system in favor of one that serves all: us, the animals and the planet. 5. WE HAVE AN EVER-GROWING NEED TO PROTECT THIS PLANET AND CONNECT WITH EACH OTHER. Awareness and a sense of personal responsibility to help our planet continue to rise as we realize we all are one, we’re all connected on a deep cosmic level, and we need to protect and help one another. We have to care about each other if we want to survive here; we cannot continue this selfish paradigm any longer. Big corporations, small businesses, and just people in general have realized that we all share the same planet, so we have a responsibility to keep it clean and make it a beautiful place for all life to thrive. People all over have awakened to their true purpose, and realize that it includes truly helping others and making their lives better. They want more than just sitting in an office to pay their bills and work for the man. They want to feel connected to others and work in such a way that includes everyone. They want more collective living, not individualistic. Just look at the rise of transformational festivals and similar events that focus on raising consciousness and spreading peace. This alone shows that we all have an innate need to feel connected to others in a meaningful, deep way. It’s written in our DNA, and we cannot ignore it any longer. 6. WE HAVE GROWN ABSOLUTELY SICK OF HATRED, VIOLENCE, OPPRESSION, AND WAR. If you look at the reactions from people in general after a terror attack or other act of violence or hate, everyone just wants it to stop. A recent post on Tumblr in reaction to the recent attack in Nice, France said “I’m tired of people killing other people.” This proves that people just want peace and love desperately, and with each new attack grow more and more tired of unneeded bloodshed and the loss of innocent, precious lives. Recommended: Are You Experiencing Advanced Energy Shift Symptoms? We have an intrinsic need to protect our fellow humans, but somewhere along the way, we lost that. In these times, however, we have regained our connection to what truly matters, and just want to see a world where we can all thrive. We hope that these signs of change will bring you peace in turbulent, uncertain times. On the surface, it seems we live in chaos and fear, but please don’t let this illusion stop you from living your truth and spreading peace and love. The world needs it now more than ever, and we must count on each other to bring about very necessary change. I am distrubed that the Illuminati symbol is used in this article. I have been posting your articles for weeks now, but will discontinue doing so if you are affiliated in any way with the Illuminati. Please let me know your position on this. Thank you.